Bandai's Metamo Figure line of prepainted PVC figures features female characters from various hit anime series, finished in materials that change color according to temperature! 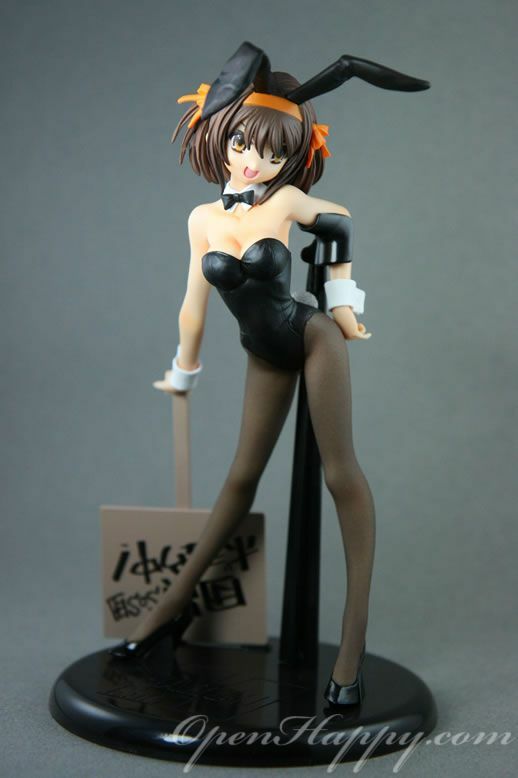 Here's a repaint version of 2007's tremendously popular Haruhi Suzumiya, all dressed up in her red bunny outfit--as long as the room temperature is above 30 degrees Celsius (86 degrees Fahrenheit). If she gets colder than that, you'll see the color of her bunny outfit change and stockings start to appear...and she'd end up wearing a black bunny outfit with black stockings! 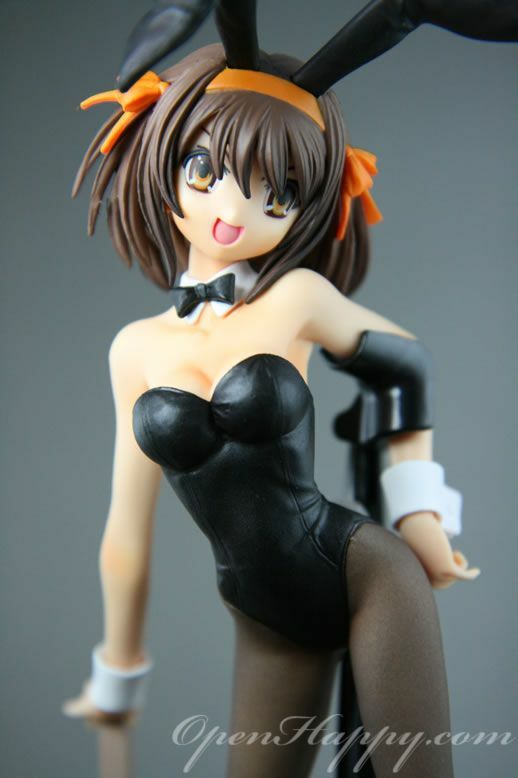 Warm up or cool down certain areas of her bunny outfit and stockings to create your own custom designs, and keep the color conditions you like if the temperature is between 16-30 degrees Celsius. If you want it to return to the normal black color, cool it to under 16 degrees Celsius. It is all fun and cool. You just need to be careful when handling her, since your figures are warm and will leave marks behind. 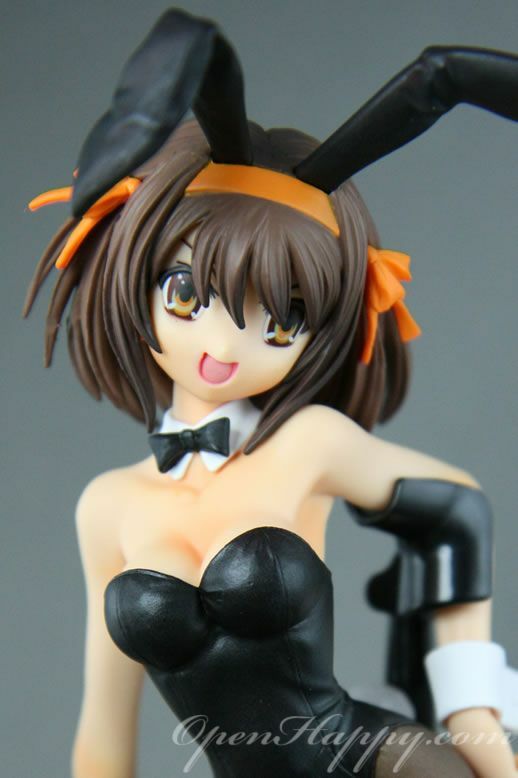 The Melancholy of Haruhi Suzumiya (涼宮ハルヒの憂鬱, Suzumiya Haruhi no Yūutsu) is the title of the 2006 television anime about a girl who, unbeknownst to her, possesses the power to change reality. While Haruhi is the central character to the plot, the story is told from the point of view of Kyon, one of Haruhi's classmates. A shiny pair of shoes. The finger details are here. Do you like your figure has color changing ability?